Wildly creative team building scavenger hunts customized for any occasion or group size in Sacramento! 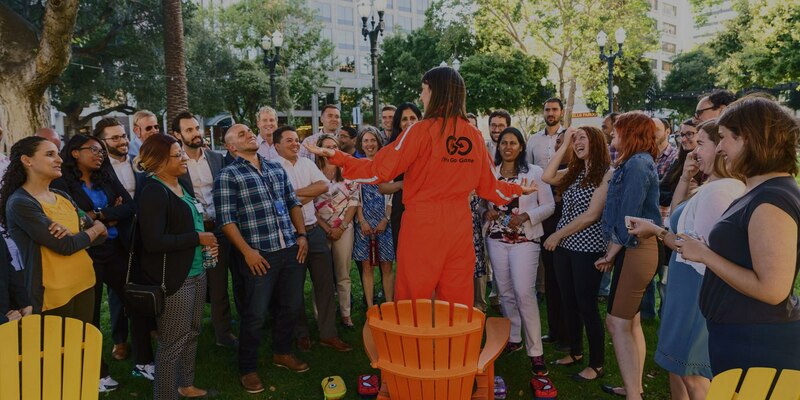 The Go Game's technology driven team building games in Sacramento are the stuff of legend. Our team can customize a game just for your group, and you'll see firsthand how awesome your co-workers are. Popular gamezones are Old Sac and Downtown. Walking through Old Town Sacramento is just like walking onto the set of an old Hollywood western! Elevated wooden sidewalks, an old train station, and great old California architecture give this game zone a unique feel. The stores are amazing, including costume shops, tattoo parlors and galleries. Rich in history, Sacramento's underground bar scene is one of the fastest-growing on the West Coast. Your Go Game in Sacramento will combine old and new as you explore landmarks near California's Capitol Building and Cesar Chavez Plaza. Sacramento's Old Town is frozen in time and will transport your group to the days of the Gold Rush, saloons, and brothels! Play along the Sacramento River, overlooking the iconic Tower Bridge, and near the California Automobile and Railroad Museums.